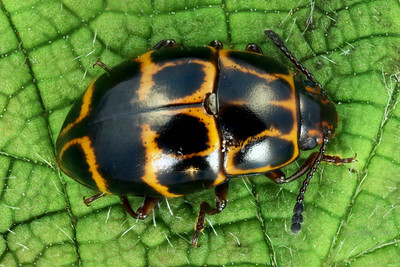 The highly diverse superfamily Cucujoidea, currently including 36 families, is a sister clade to Curculionoidea and Chrysomeloidea ("Photophaga"). The exclusively or predominantly phytophagous superfamilies are considered to have radiated and co-evolved with flowering plants. These relationships underpin the extraordinary diversity of beetles today.